Fall Prevention Stand Down Materials for 2017 now available! Have you heard about the NIOSH app? FOOTnotes – For Our Outreach Trainers: Information specific to OSHA Outreach Trainers authorized through the Southeastern OTI Education Center. New PowerPoints designed by OSHA have been released with the Most Frequently Cited Serious Violations of 2016. There are three PowerPoints available, one for each of the following industries: construction, general industry, and maritime. Make sure to look over these to help easily identify potential hazards within your organization! The National Safety Stand-Down to Prevent Falls in Construction is taking place May 8-12, 2017. 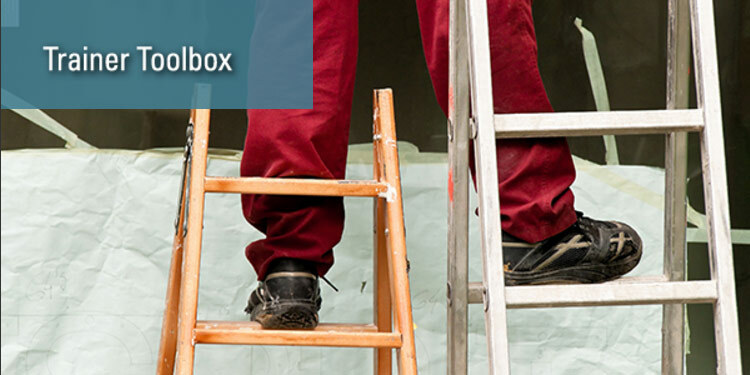 If you or someone at your company are looking to participate in the Stand-Down or simply focus in on Fall Hazards and the importance of Fall Prevention, there are a ton of great resources available on OSHA’s website. Make sure to go online and check them out! The OSHA Outreach Training Program Requirements and Industry Procedure changes are going into effect April 1, 2017. A summary of the changes can be found in the document below. Make sure to familiarize yourself with the new requirements and update any documents that do not meet the changes going into effect. OSHA’s Safety Pays Program has been updated to show the most recent workers’ compensation data. The work injury and illness estimator is a great tool companies can use to figure out how much of an impact an injury or illness can actually have on their profitability. Perhaps not everyone understands safety and the importance of it, but everyone understands numbers. And these numbers are screaming that safety pays off! The National Institute for Occupational Safety and Health has developed an easy-to-use Sound Level Meter mobile application for iOS devices. The application is free to download in the App Store and displays real-time noise exposure data based on NIOSH and OSHA limits. This is a great training tool that can be used when covering noise hazards and hearing protection. Darija Franjic works with current OSHA Outreach Trainers authorized through the Southeastern OTI Education Center to ensure they understand and comply with OSHA’s outreach training program requirements and procedures. She also assists trainers with reporting and processing OSHA 10-hr and 30-hr cards. In addition, Darija coordinates details for open enrollment and onsite OSHA courses. Sign up for SafetyGuardian email updates. What are logic models, and when should you use them?